McCarney and Associates Inc. is a Canadian, privately owned distributor of Canadian elementary, secondary and public library resources. 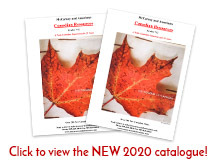 We specialize in “Canadiana” as supplementary resources to support the curriculum. Areas of specialization include history, geography, parenting, art, philosophy, Canadian fiction, etc. We formed our Company in 1999 in response to a need for more Canadian resources to support the curriculum. We offer librarians and teachers an easy and efficient way of ‘sourcing’ Canadian resources for their collections. Our background includes over 50 years’ experience with Canadian publishing and educators. We work directly with school boards, consultants, librarians and teachers. We attend displays throughout the year and offer personal service at our location in Oakville. We have grown steadily over the past few years and we pride ourselves on personal service excellence.